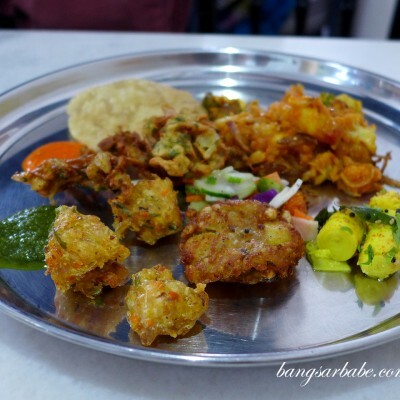 When a restaurant doesn’t have a fixed menu and requires three days of advance order so that the chef can prepare the dishes accordingly, one would expect the meal to be a good. 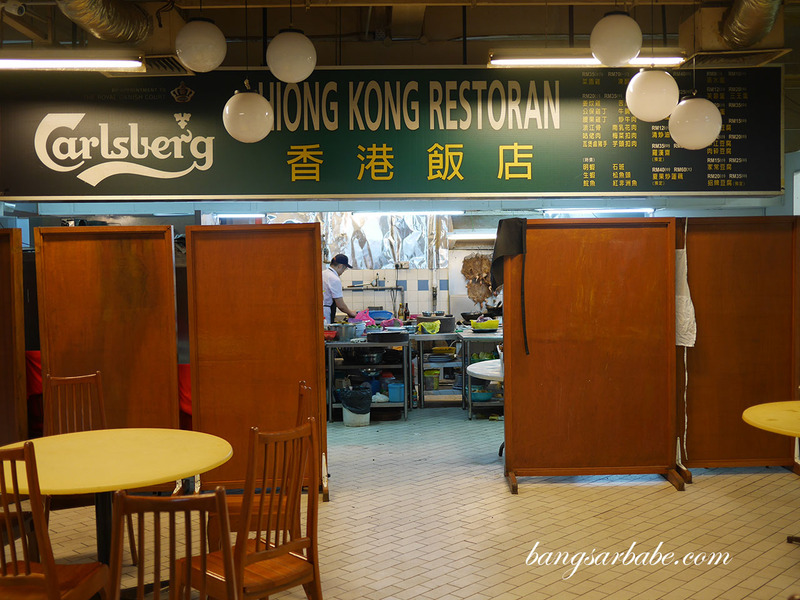 At least that was what expected when I went to Hiong Kong Restaurant in Pudu Plaza, a restaurant located at the lower ground floor of the mall. 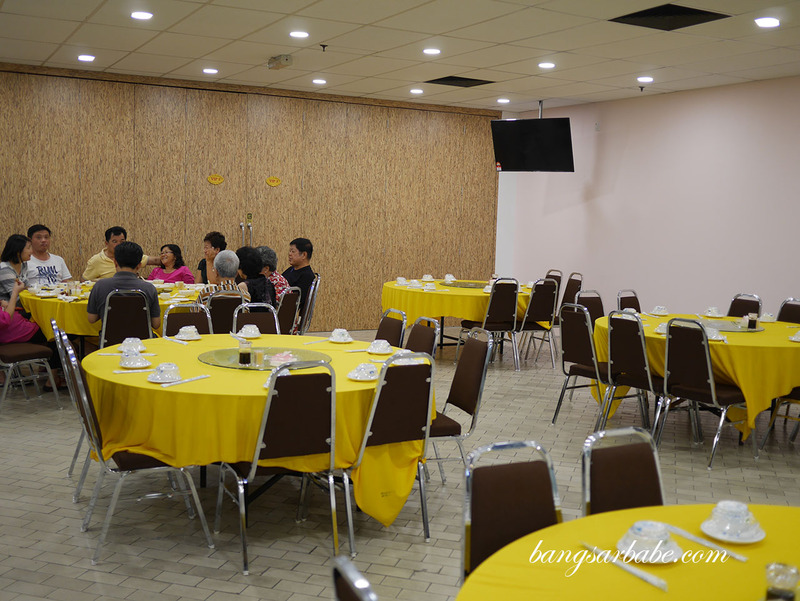 Hiong Kong Restaurant has a no-frills setup with fluorescent lighting and large tables draped with yellow cloth for 10 pax. 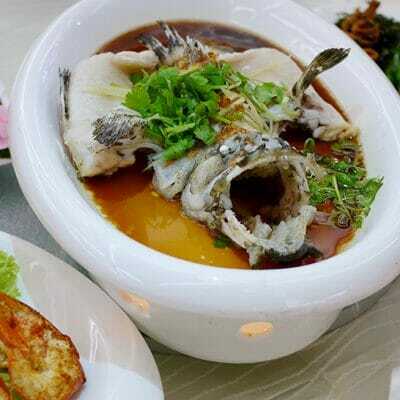 Chef Wong is known to serve excellent food and a meal at his restaurant would take a good 2 hours or more, depending on the number of dishes you order. 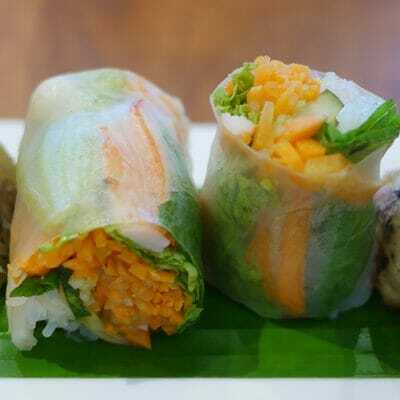 There is no rushing Chef Wong to dish out the food at fast food restaurant pace – each dish is prepared carefully, taking into account taste, consistency and presentation. 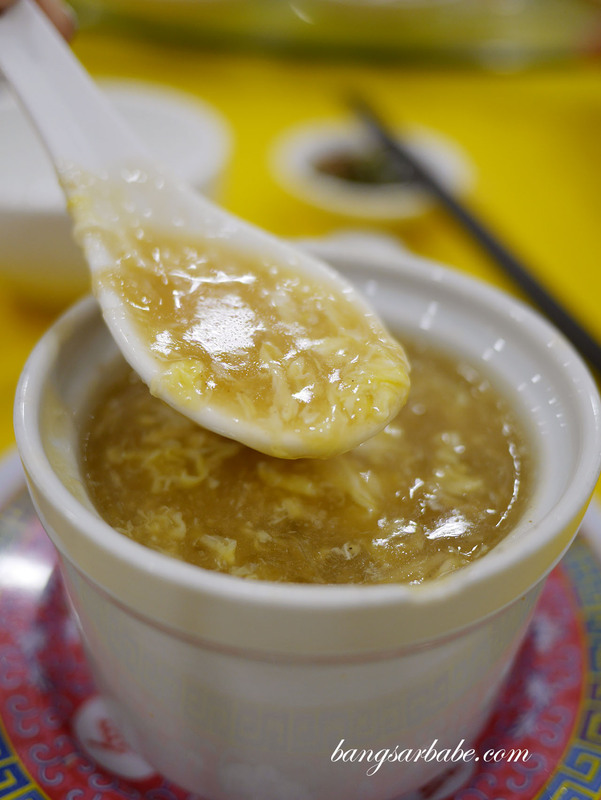 The first dish to arrive was the soup, which you can opt for either shark fin or fish lip. I don’t condone eating sharks fin so the latter option is eco-friendlier and less painful to the wallet. This was really tasty and no vinegar was needed as the broth was sweet, flavourful and thick from the amount of ingredients used. 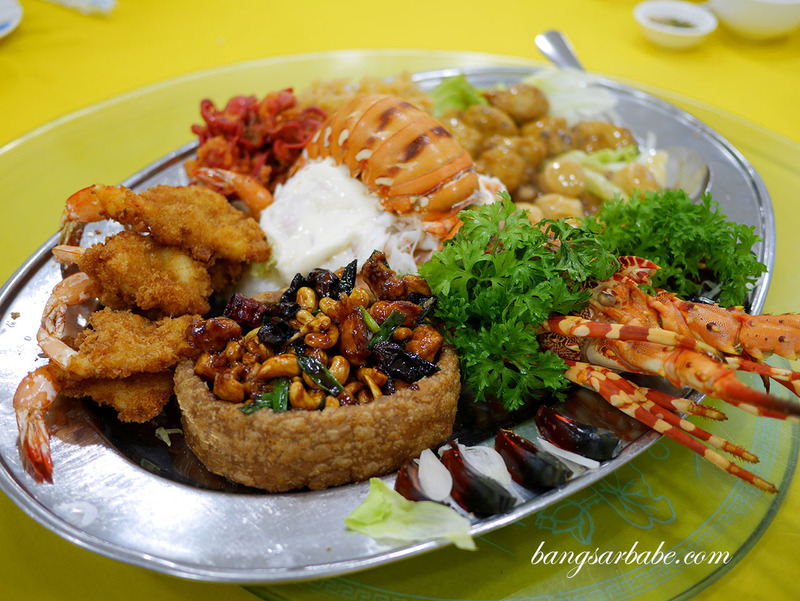 Lobster Platter is a sumptuous platter comprising fried prawns, yam basket with kung po chicken, century egg, baby octopus, scallops, jellyfish, pork ribs and the highlight, lobster salad. 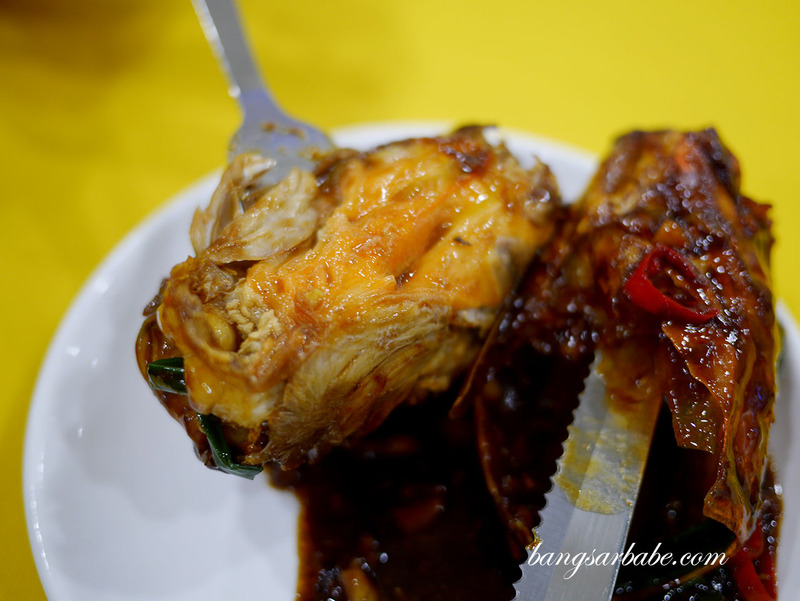 This is a signature dish at Hiong Kong Restaurant so do make sure you try this when you’re there. 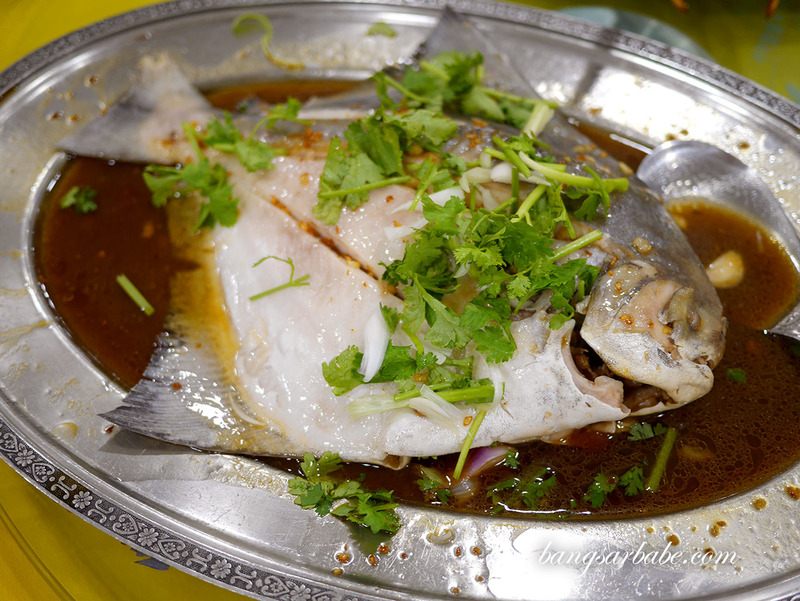 I’m not a big fan of fish (especially the steamed ones) but Chef Wong’s steamed pomfret was delicious. The gravy is thicker than the usual soy sauce based ones, and full of umami. I found myself going for a second and third helping. 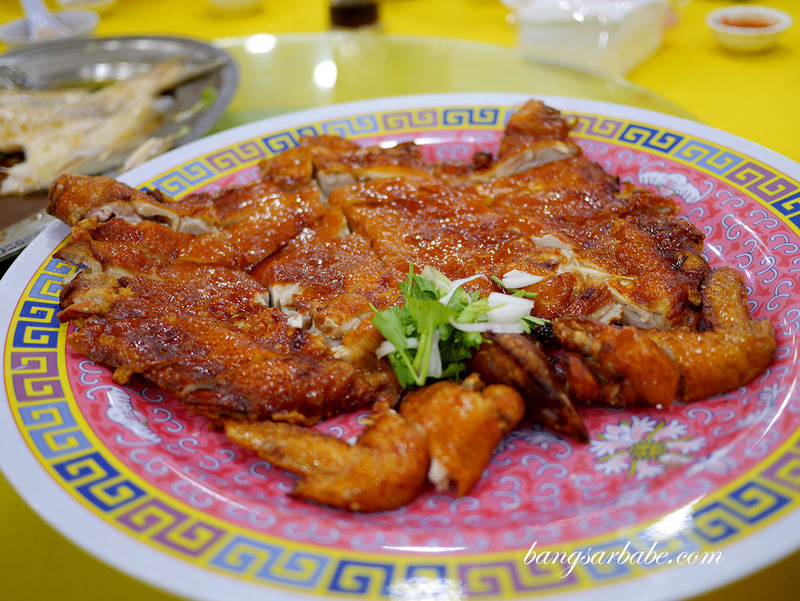 The chicken with fish paste is another popular item here, where most of the chicken flesh is replaced with fish paste, and deep fried till the skin is crispy. It was alright, but not something I particularly enjoyed. Eat it with chilli sauce for extra kick. 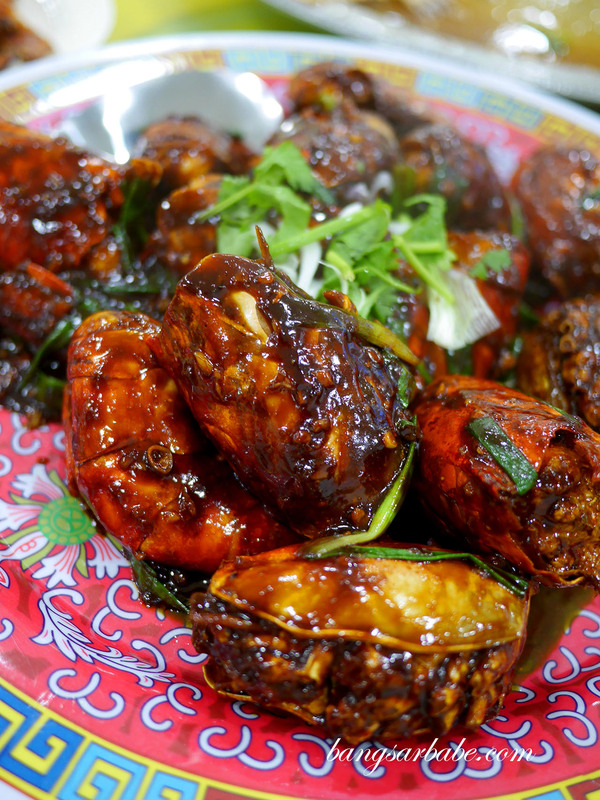 We also had the extra-large prawns, coated in a deliciously sticky sauce that accentuates the richness of the roe. So bad for the waistline but this was good stuff. I had two whole prawns to myself. 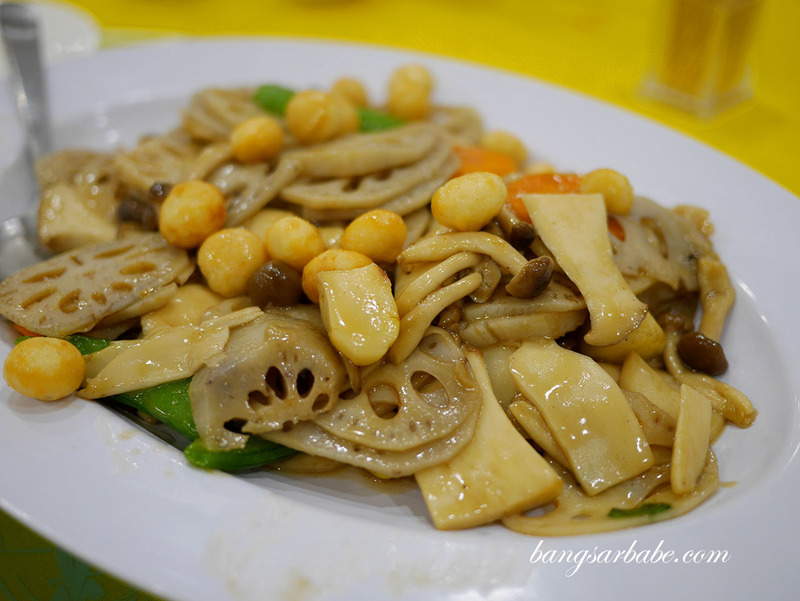 The stir-fried lotus is another dish that came highly recommended where the thin slices of lotus roots are cooked with roasted macadamia nuts, assorted mushrooms, sweet peas and macadamia nuts. Simple, yet packed with flavour. We were stuffed by the time the noodle dish arrived – tossed with pork slivers, some greens and prawns. The was just enough gravy to coat the noodles without making it loose its toothsome texture. Tastewise, I thought this was just alright. 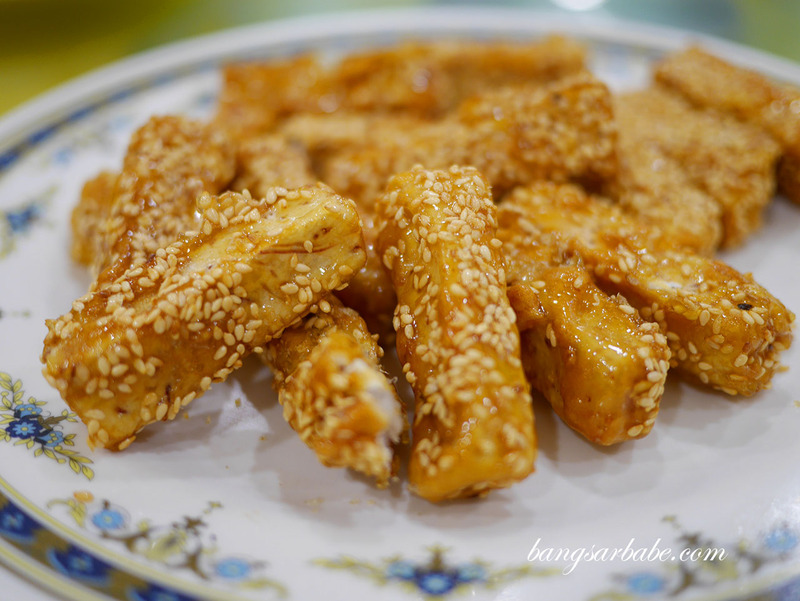 Dessert was yam coated in caramelised sugar, similar to the Teo Chew style caramelised yam sticks but tastier. This one is coated for you beforehand, so the yam is hot and fluffy at the centre and crunchy on the outside. Verdict: Try the lobster platter and the extra-large prawns. Those are good stuff.